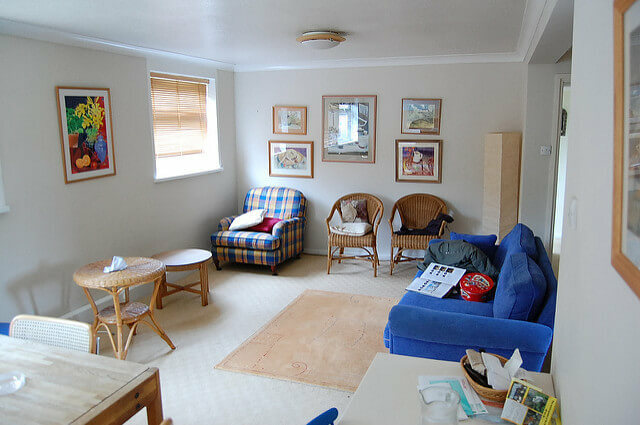 When it gets down to cleaning, people often feel annoyance, thinking about all the hard work they’re up to do. Life is busy, you barely have time to spend enough time with your family and the full house cleaning feels like an unbearable task. But keeping your home clean is one of the most important tasks in your household. 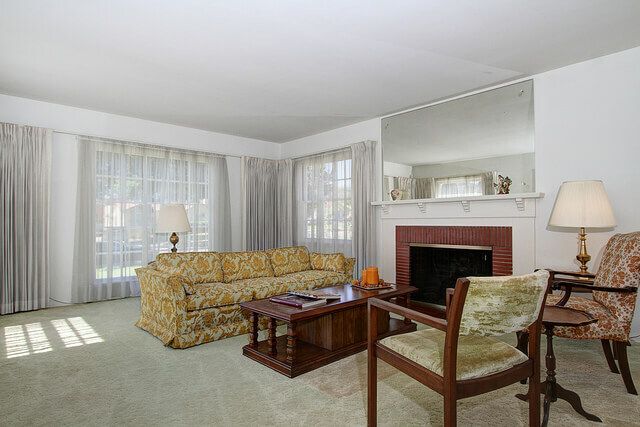 A shining room creates great living environment for you, your children and your house guests. With a clean and organized household you’ll be able to invite people often, find things easier, and be proud of it. Time here is the key point. How to clean everything in your house for minimum time and with maximum result? We at TLC Carpet Cleaning will help you with the best tricks and tips. We have gathered best tips and tricks about how to deal with the dirt and get rid of it faster. There are some major tips, every homeowner should follow to keep their home clean for more than a couple of days. It’s all about organization and tools. So let’s check them out. Start from the top to get the best result from your cleaning effort. Remove dust which can cover the clean space all over again. Hanging frames, ceiling fans, curtains, start with them, as the dust won’t go back, while you move forward. You need a system to clean wise and fast. Follow the same routine every time. Always start and end at the same place, and start from the furthest corner of the room. Thus you will avoid cleaning again the areas you’ve just finished. Starting from left to right, assures you will cover everything, without coming back again, because you’ve missed a corner. You’ll spend twice more time cleaning without the proper tools and cleaners. Keep everything you need. You can use a bucket to store and organize your tools and bottles, so you won’t have to go back to the cabinet every time you need something. Always have couple of different sponges for the dirtiest spots, damp pet sponge to remove pet hair and keep a grease stain remover. Remember to use rubber gloves and hot water – with hot water you’ll remove stains and grease a lot faster. Throw away the classic cleaning tower, instead use microfiber cloth. The fibers keep the dust inside the cloth, you’ll only need to wipe once. Microfibers are easy to wash, even in the laundry and they’re cheaper than towels. Microfibers are reusable, you can use them both wet and dry for multipurpose cleaning. The stove is usually the dirtiest place in your kitchen. Start with it to avoid working around dirt and grease. Use grease removal detergent or soapy warm water to soak it before you clean. If the pans have burnt drippings, don’t scrub then too much instead use baking soda or lemon juice. You can clean the oven the same way. It will be easier to spray the oven with mixture of soda, water and vinegar. Wipe the soda foam with dry cloth and then use clean wet sponge. The sink keeps a lot of dirt attached to it. To make your sink shine you can use detergent instead of scouring powders, which can scratch the sink. You can put perforated plastic mat at the bottom to avoid scratching. 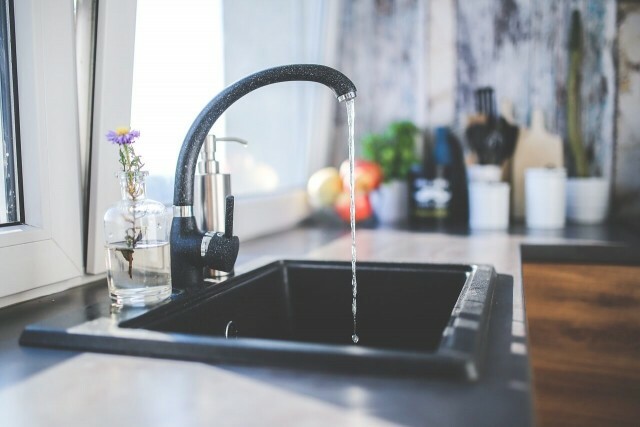 Never leave your sink too wet, try to wipe out all left water to avoid mineral deposits. To clean the food disposal and get rid of odors, cut a lemon and put it inside along with a little salt and one or two ice cubes. This will make it smell fresh, while the ice and salt will do the rest. Other annoying things is the rust. To make it go away immediately try WD-40, an amazing fluid, Put some on a cloth and scrub over the rust. Here’s one tip to help you clean the microwave faster. Put a cup of water inside and wait until it starts to boil. This will create moisture and soften the hard burnt food inside it. Then just wipe the surface with soapy water and cry cloth in the end. It’s absolutely annoying to clean the fridge, because you need to take out all food. So here are some advised for fast cleaning. Use windows cleaner for the glass shelfs, so you won’t have to take them out. Clean the stubborn stains with toothpaste. You can put bowl of baking soda inside to deal with odors or little bag full of active charcoal. You can even use the vacuum cleaner to quickly remove food crumbles. Talking about multipurpose cleaning, leads to a cleaner which is useful for everything, from the sinks to the oven and fridge. You can buy or prepare one by yourself- use 4 spoons baking soda and one quarter of hot water. Bathtub is one of the dirtiest spots in your bathroom. To remove mildew, stains of dried soap and mineral deposits use white vinegar to spray it all over. Leave it for 15 minutes and then wipe with dry microfiber. Finally rinse with warm water. If the tub is too dirty you can soak old towels in vinegar and cover the tub with them for 2 hours. Mineral deposits over the faucets and around the plumbs are hard to remove, and strong detergents, combined with brushing might scratch the surface. Try to use vinegar on clean cloth to wipe over and make faucets shine. You don’t have to use water and wash out again. No one thinks about the liner, but it still gathers dirt and bacteria. To deal with it at once you can take this trick – put it in the washing machine along with old towel. Add cup of vinegar together with cup of normal washing soap. Then cycle it at normal program on lower temperature. No need to dry it after, just hang it back to leave the water drip. Remember to remove the hooks before you put it into the machine. Everyone just hate to clean tiles, because they need so much scrubbing. Thankfully we do have some homemade mixtures in mind! 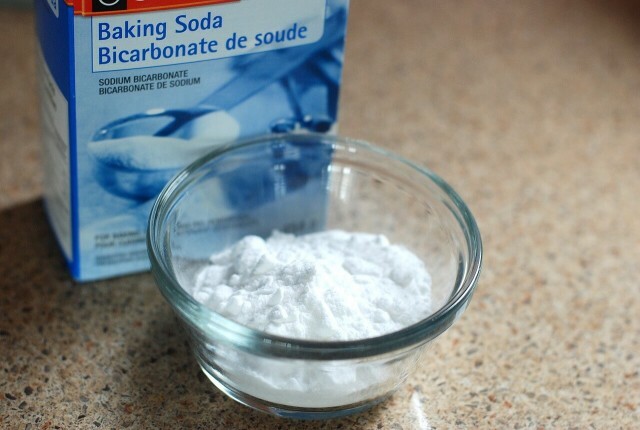 Try mixing baking soda with bleach. Then use it to spray the tiles. You need to leave it to work at least one hour before you wash it. Remember to use gloves and mask if possible, as the bleach gives unpleasant gases. You bathroom needs to be well ventilated. The bleach will disinfect the tiles, whiten them while the soda will make them shine without scrubbing. Use squeegee to remove all left water and moisture as final step. There is no fast way to clean the toilet. At least you can do it right. Always use disinfecting liquid and round brush on the toilet bowl – the round brush reach even under the rim. You need to wait a while before you move on to brushing it. Before you start you can rinse it first with hot water. It will help you with stains and disturbing ring of dirt in the toilet bowl. A disinfecting spray will do for the rest of the toilet. You can spray over the rim, seat and tank. Wipe it clean and finish with clean microfiber. You need to choose how to clean the vanity cabinet, depending on the material it’s made of. If it’s made of marble, ceramic tiles or other natural stones you need to choose cleaner lacking acid, with a neutral PH. Some colored cleaners might soak into the material, so choose a transparent one and avoid vinegar or lemon juice here. Wipe the surface with soft cloth, don’t scrub it. Use the event of cleaning to store any unused items, which you usually leave on the cabinet. You have probably made your bed, but everything else is waiting. 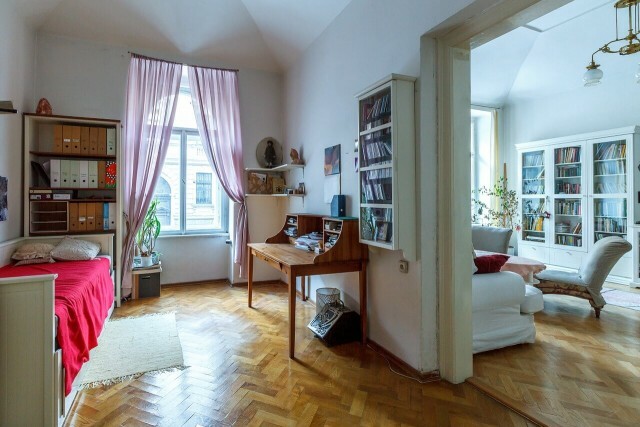 Start with organizing the space, remove all unnecessary belonging from the furniture, put the laundry in the washing machine, while cleaning the bedroom. With the vacuum cleaner accessories you can get rid of the dust quick, even the hard reachable spaces and inside the closet. Keep close everything you need, from dry and wet cloth for dust and stains, to multipurpose sprays. You can clean the headboards with lemon oil! It smells fresh and gives a delicate gloss to any furniture surface. Read more here what else you can do with lemon oil. Use either dishwasher salt or vinegar mixed with the water to clean mirrors and windows fast. Scrub the windows with a soft sponge, then put the squeegee at work. This is best and fastest way to clean high and difficult to reach windows. To get brilliantly shiny finish use clean and new microfiber cloth. You can buy linen spray or make yourself one to refresh your mattress and bed cover along with the sheets. Use 30 drops of essential oil, 100ml vodka and 2 cups of water. This will sanitize and make them smell good and fresh. Flip the mattress from time to time to preserve its proper shape. Also here you can use the vacuum. The easiest way to take care for your home curtains is just put them into the washing machine on a special program for delicate clothes and then hang them back wet. Remember to leave the curtains last after you’re done with the cleaning. Here are some useful tips to free some space inside your closet instantly. First start with clothes – just get rid of everything you will never wear again, don’t be sentimental, they’re just clothes. Inside the closet you can hand pegboards to store smaller items, like belts and jewels. In the hangers section you can put canvas shelves to use the full capacity of the closet. Store your shoes in plastic boxes. We mean more than one pair per box! Use vacuum plastic containers to store your winter clothes and save half of the space. Use slim hangers to save even more space. Don’t hesitate to take it to the ceiling, every inch of the closet is there to fill it with extra drawers. Start with emptying the space. Think about all the clothes you store, you will never wear again. You can donate them and free some fresh space. Try to label the boxes to know what’s inside next time. You can put all bulky and large items at the entrance so you easily throw them away or put them back after you’re done with the cleaning. Always use a vacuum cleaner with a filter. Wear mask while you’re cleaning. 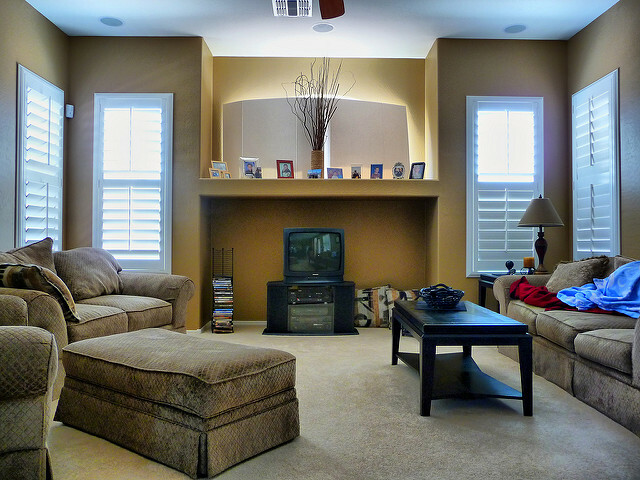 The dust at the attic contains allergens and might cause health problems. 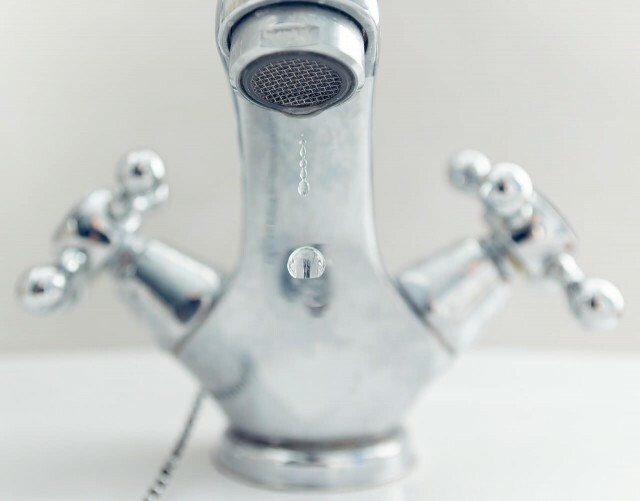 Many people have problems with water leaks and mold appears. To finally deal with it you can spray over the infected areas with a mixture of water and bleach. The bleach will kill fungus and whiten the space. Buy an air drier to prevent unwanted moisturizing of the air, as you keep your attic closed. Try to open the windows at least once a week for a couple of hours. If you have suffered from insect invasions you know how difficult it is to chase them away. At first, try with electronic insect killer, which you can plug into the grid. If this doesn’t work, we suggest calling a specialist who uses non-toxic agents. Basement cleaning feels like working in a coal mine – you’re exhausted to death. Since you can’t do it quickly, you can at least spare some efforts with our tips. 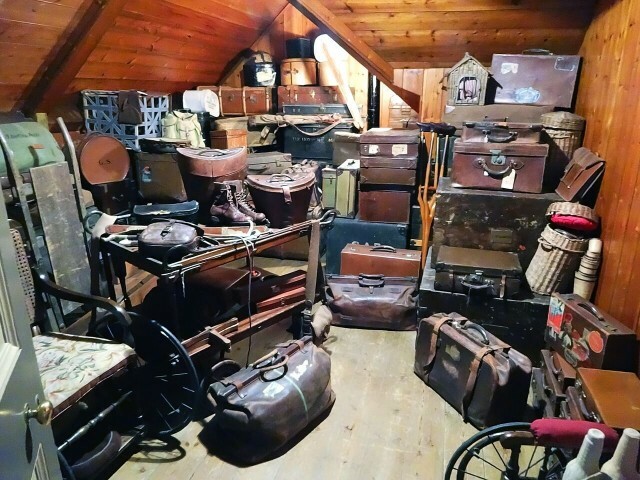 Before you go forward with the cleaning routine you first need to follow the same steps about organizing the space, we mentioned above for the attic. Start from the top with the vacuum cleaner / again use filter and mask/, remove dust from the shelves, blinds and windows and finally the floor. 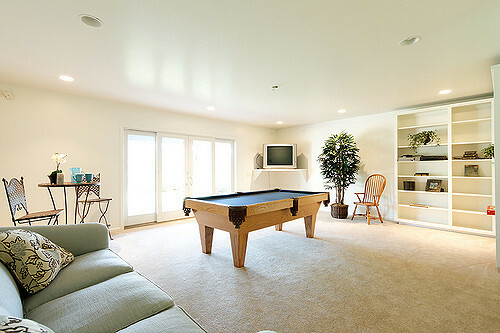 Most people have concrete floor in their basements which is really hard to clean. To clean extremely dirty floor pour detergent and a small coffee cup of ammonia into a bucket of hot water. Scrub the floor with a nylon brush, not metal to reveal its original color. In order to remove unpleasant odour in the basement you can use bleaching powder /chlorinated lime/. It will take away the smell for one night and kill all microorganism. The powder can be vacuumed as it’s a dry cleaning method. Rust is difficult to remove from concrete floors. Here you can put in work dry cement and rub the floor with a nylon brush. The cement will scrub the floor and take away the rust. Do this before everything else. Carefully choose what to keep inside it and how to keep it. Maybe it’s time to buy some new shelves? You can use the space from the bottom to the top. Make sure you have different sized shelves for big or small items and boxes. Install closet, for clothes, winter shoes or sports equipment. You can add as many drawers /they better be plastic/ as you want to store smaller objects. 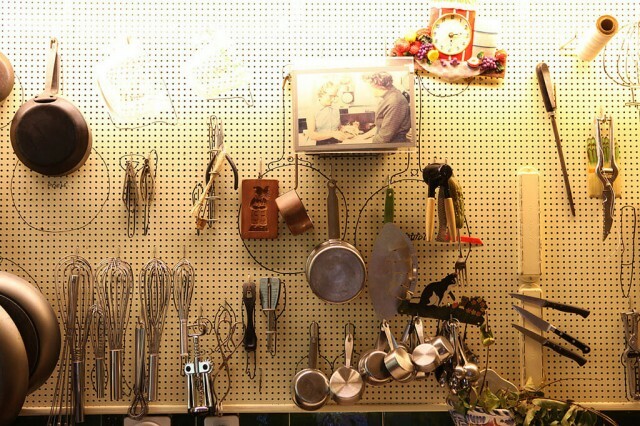 You can put a magnetic pegboard for all your tools. Carpet Cleaning TipsThe carpet is one of dirtiest parts of our homes. It stores dust, food leftovers, hair and the most hated stains. Whatever you do you just can’t keep it clean forever, so follow these useful tips to deal with stains and other filth. Don’t rub fresh stain. Instead blot it. Blotting with a dry towel will soak the stain without spreading it more. If this isn’t enough you can put baking soda mixed with water and vinegar over the stain and wait the solution to work. Then wipe with dry cloth. Sometimes, for really hard stains like blood, coffee, ketchup or anything colouring the carpet you can use shaving cream! If you intend to start a deep cleaning you can use the force of steam vacuum cleaners. They remove dust and stains at the same time, and also give fresh look of the carpet like it’s just been washed. 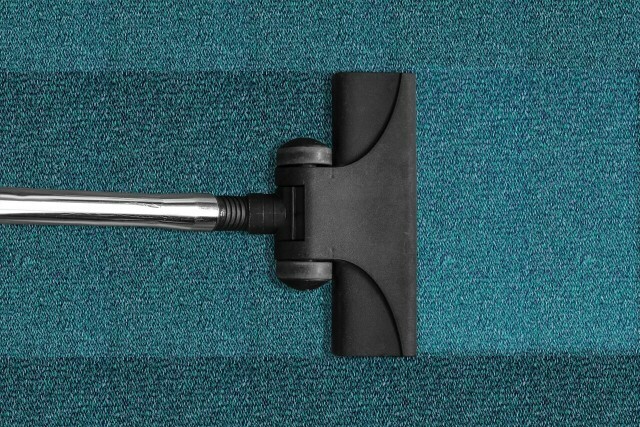 Steam cleaning might leave your carpet a little wet, so do this in summer days. The best way to remove pet hair, before you start vacuum cleaning is to use rubber broom. The rubber broom works with static electricity, attracting the fur. It will save you at least 30 minutes of vacuum cleaning. 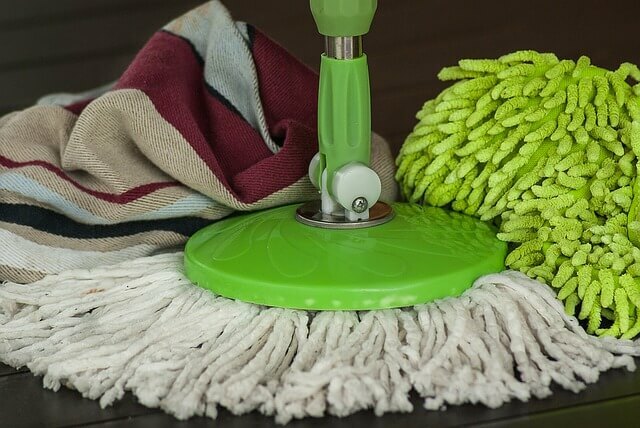 To spare time and have the best result you can eliminate the most common mistakes made while cleaning with the vacuum. You need to empty the canister and clean the filter regularly. This way you’ll make the vacuum stronger. Use attachments for corners and difficult to reach places. You can also use the vacuum to remove dust from furniture easily while you clean the carpet. If you have an external canister and your space is full of hair and fibers, you need to stop and clean it. Stains on the mattress can be removed the same way as you do it on the carpet. Blot them, don’t scrub. Try to use only water, and if it doesn’t help, put in work the dishwasher detergent. You can also try to rub the stains with half cut lemon. 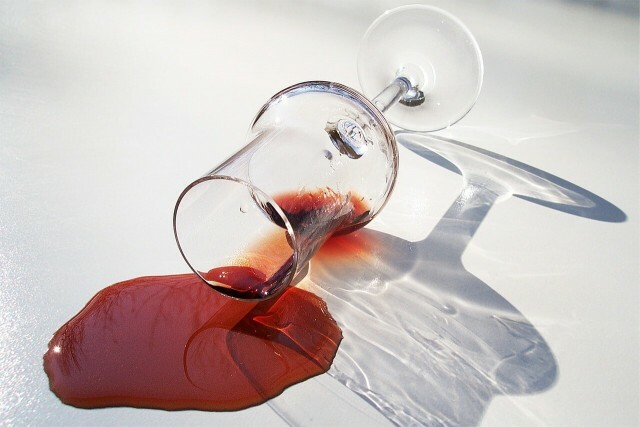 For blood and urine stains, there is one trick – a small amount of hydrogen peroxide or laundry detergent. Mattresses store a lot of unseen dust. You can remove it with the vacuum, but you need to clean it on both sides. Use the special brush attached to your vacuum cleaner and press firmly to the mattress surface. The baking soda always helps, when it comes to eliminate smells. You can rub a small amount of soda and wait for a while, then vacuum. You can also use portable steam carpet cleaner. As most of the sofas sold on the market are covered with fabric, you need to vacuum the sofa at least once a week, otherwise, it will turn into heaven of dirt and dust. Like for the mattress, use the attachments. To easily remove the pet hair from the sofa you can use plastic gloves and rub the surface. Use the gloves dry and for minutes you’ll have hairless surface. Don’t miss the pillows and the area underneath the sofa. 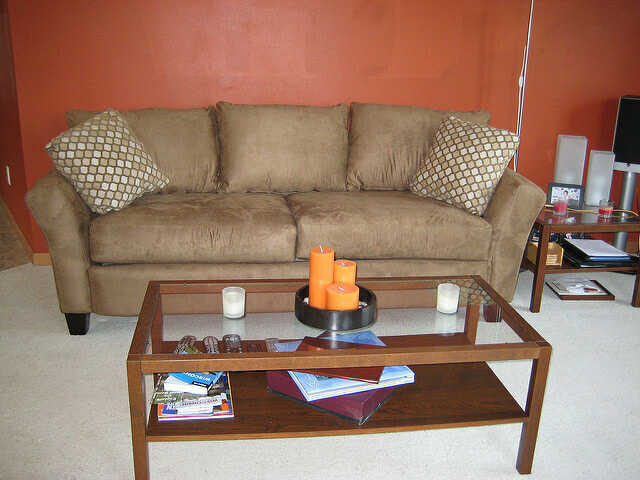 You can fight stains on your fabric sofa by using only water and a little dishwasher detergent. If you prefer you can by separate solution for your couch or use the one you have for the carpet. Test the detergent in an inconspicuous area, to make sure it will not damage the fabric. Blot the stain with dry clean cloth and let to dry. For leather sofa, you need to buy special soap for leather or wax-based detergent. Light or white leather easily gets smudgy and you should never use whitening detergent or bleach on it as it’ll change its color. An alternative method for cleaning is steam cleaning. You can do this once or twice a year in well-ventilated space and warm weather. Also, you can try the so-called dry cleaning with a cleaning foam. The foam doesn’t need rinsing. You just spray it on the stain and wait the ingredients do their work. Then wipe with a towel, by pressing over the stain. You don’t need to scrub over the stain. Foams are usually perfumed, so they’ll also make your sofa smell great. We’ll go through the harshest stains to remove and give you tips how to do it easy and fast. Use cold water and soak the stain. If it’s on a cloth, leave it for 30 minutes, then put it in the laundry. Stains from drinks on carpets, mattresses, and other non-washable fabrics can be removed with blotting the spot with a dry towel. The wine also goes out with cold water and soaking. You can also use strong detergent for washing machines or dishwashing solution. Eggs are terrible to remove, but you can do this fast if you wet the stain with a sponge and cold water. Wait 10 minutes and try to dap the stain. If it’s still there, use dish soap and directly rub it to the stain. You’ll need to rinse it after. Ink can be removed with alcohol or ethanol sold in the pharmacy. Pour enough liquid over the stain and press tissue paper on it. Do this until the stain goes out of the fabric. The mud is organic, so you should need any special detergent to remove it from your fabrics. Your best chance is to wait for it to dry and scrape it gentle. You can clean what’s left with warm water and soap. Also awful stain, difficult to get rid of. If it’s on your clothes, don’t worry, just run cold water through the back of the stain. Don’t do it directly on it, because you can force it to get deeper into the fabric. If the stains are on your sofa or carpet, try to soak it and press it over with a towel. Blood can be quickly cleaned with hydrogen peroxide, but you can just use normal washing soap. Remember, blood can be cleaned only with cold water and not with hot. The gum stuck onto your carpet can be easily removed if you put ice cube on it and then just scrape the gum with a knife. This should do from the first time. To remove candle was you first need to scrape it from the surface as much as you can, without damaging it. Then put paper over the stain and press it with a hot iron. The candle was will stick to the paper. You can also use ethanol to rub over the stain of wax. Depending on the type of pain you have two options. To use only hot water for water based paints and soak the stains for a very long time or use turpentine for other types of paint. Paint stains need to be scrubbed. In case you use turpentine, you’ll need to degrease the stain afterward. Try lemon juice or classic degreasing detergent. To know how much time you actually spend in cleaning, time it! Separate your choirs to parts and give yourself exact time for cleaning. Don’t take it too long, as one room should normally take no more than 15 minutes. Choose some of the easiest tasks to do every day for 5 minutes. This way you’ll spare yourself at least an hours of extra cleaning. Don’t leave everything for one day, as you will feel exhausted and irritated. Multitasking seems scary when it gets to cleaning, but actually, will help you a lot and save you time. Make a list of thing you want to do. Put the most important at the top and leave all small job last or even drop them off. Combine thing you go together, like soaking laundry, hard stains and dishes in the sink, while you clean with a vacuum. You can start with the laundry at the beginning, you only need to put in the machine. Star from the dirtiest room and go in circles. While you’re vacuuming the carpet you can clean at the same time the dust from the furniture. If you notice belongings, breaking in your way you can put them in the drawers, as long as they belong to the same room. The bathroom takes the most time in scrubbing and brushing. 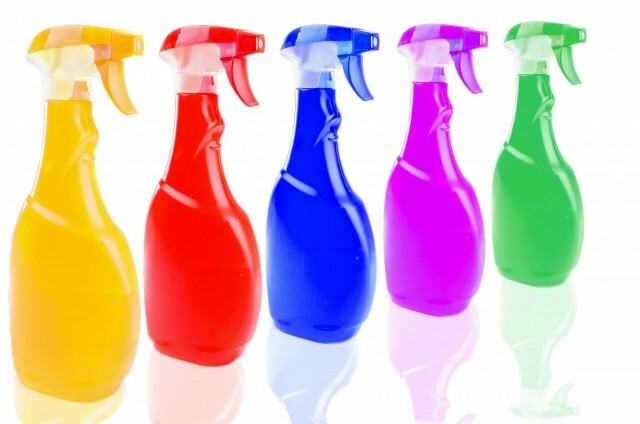 Before you start to clean, spray all surfaces with detergent, which need some time to react. While you finish with other choirs, the bathroom, and the toilet will need an only simple rinse. Lost and found basket or a jar, depending on how often you lose things, will do great work at your home. Just put everything “homeless” you find in it, and when you need it you will know where to look. This will also help you to organize fast, so you don’t have to search right away the right places for your things. Keep up the good work with our tips, you know what they say “A clean home is a happy home”. Cleaning the living room carpet, can be a real backbreaker from time to time. Due to the fact that the living room is the most used room spills and stains occur on a daily basis. Therefore to prolong the life and good looks of the centerpiece living room carpet, you must take the necessary precautions. Below are mentioned some tips which can aid you to achieve the goal of having a nice carpet for the long run. Regular vacuuming is the key in having a good looking and clean carpet. If you do not vacuum on a regular basis dirt will commence to build up in the fibers and the carpet will get ruined quickly. That is way vacuuming twice a week is of great importance, by vacuuming frequently you will prevent the dirt and soil build ups. Instant response when a spill occurs can help you prevent any permanent stains. When a spill happens do not wait for it to dry. Get a clean cloth or towel and begin blotting the spill. Remember only blot, don’t rub as you may spread the spill all over the carpet. When done, get a carpet cleaning solution and apply it on a new cloth or towel. Put the cloth or towel on the stained area wait a couple of minutes, if needed you can massage the cloth with the back of a spoon. Always work from the outside of the stain towards its center. After the stain has been absorbed, rinse the treated area with lukewarm water and dry carefully. If you leave the carpet wet you risk having mold and mildew problems. Due to the fact that professional carpet cleaners have the needed experience and equipment to clean a carpet, they must have an prominent role in your carpet maintenance. That is why it is of grave significance to have professional technicians from London to come and clean the carpet thoroughly twice a year. If you have lots of upholstered items in your home and you are wondering which is the best method that you can use to keep them clean, you should continue reading this piece of text. Upholstery cleaning can be an easy task to do, especially if you have the right cleaning tools and materials for the job. 1. To get rid of the collected dirt and dust on your beautiful curtains use a lint brush. 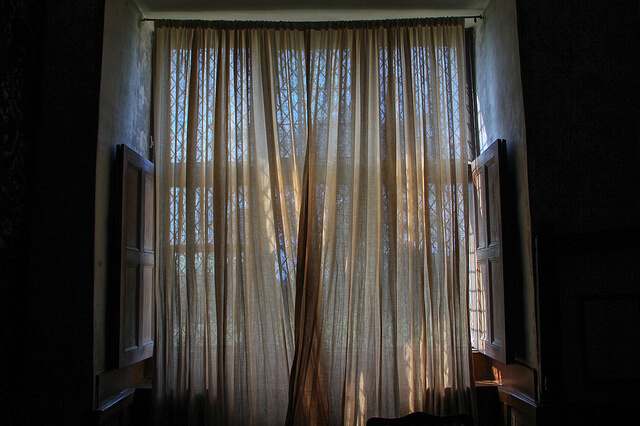 This method works excellent for curtains that are made of velvet or other such fabrics. You can also use the lint brush technique for heavy curtains or ones that cannot be removed easily. 2. To remove odours from your curtains and make them smell fresh and nice, use some fabric freshener. The last one can be found in every store. Pick up the best scent for your personal taste and spray your curtains with the freshener. In this way, you will not only freshen your curtains, but the entire room, as well. 3. Last but not least, experts recommend rubbing the curtain with a fabric softener dryer sheet. The results will be almost the same as if you apply the lint brush method with the difference that using this method your curtains not only will end up clean but will smell nice, too. So, pick one of these 3 useful curtain cleaning tips to make your domestic environment look amazing! 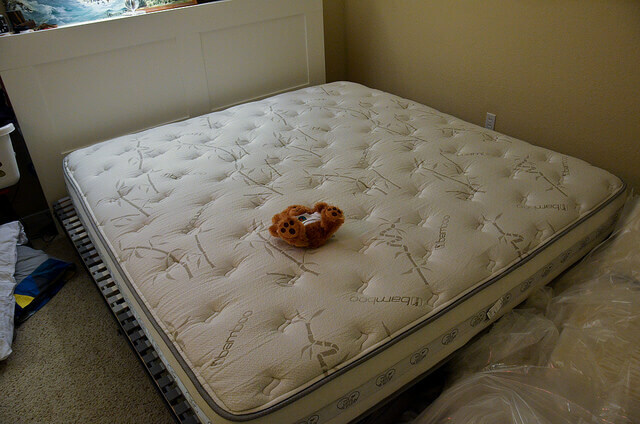 Removing mildew from mattress is more than difficult task. This bad smelling fungi can cause a lot of problems to your health if you don’t deal with it on time. You cannot use just any mildew remover to clean a mattress because one way or another your skin will come into contact with this cleaner since there is no way to rinse it out from the mattress. Fortunately, there is more than one safe cleaning solution that can help you to clean mildew from mattress. However, before using any of the described solutions, vacuum your mattress thoroughly and take it outside if possible. Add 1 tablespoon of liquid dish-washing detergent into a mixing bowl. Slowly pour warm water while stirring the mixture, so a thick sudsy solution can form. You can also use laundry detergent instead of dish-washing agent. Cleaners Lee suggest this solution as one for cleaning mildew from a mattress. Use a sponge or rag to scrub the cleaning solution into the mildewed areas. Do not over-wet the mattress with the mixture, as the moisture may penetrate beneath the fabric and wet the inner filling. Once the mildew has been removed, let the mattress dry completely in direct sunlight. The sunlight will kill any mildew spores that have remained into the mattress. Pour 1 cup of rubbing alcohol and 1 cup of water into a mixing bowl. Consider wearing rubber gloves when handling rubbing alcohol, as it it is very drying to the skin. Damp a cleaning cloth in the solution and wipe off any mildew on the mattress. Let the mattress air dry. If the mattress is heavily affected by mildew, expert cleaners suggest using the detergent solution first and then completing the mildew removal with the alcohol solution. Suede is a delicate fabric requiring lots of care and attention. Many people from all around the world wear suede shoes and clothes, because suede looks good on them. However, all of these people also know how hard is to preserve the good appearance of this fabric. If you’ve spilled red wine on your suede sofa accidentally and now you are praying for the stain to come out, then stop whining, but start cleaning the spot. According to some of the best professional cleaners the sooner you start cleaning the spot, the better the chance to remove it completely. The good news here are that for the cleaning of your suede shoes, you do not need to use any toxic detergents, because there are a few household alternatives which are as effective as their commercial versions. And one of these cheap alternatives includes the use of salt … yes I said salt. So, read on to find out how to remove red wine from suede with salt. 1. Begin the cleaning by applying regular granulated salt to the stained suede surface. This household product will act as a sponge, absorbing the red wine from the fabric. Use a clean cloth to gently dab the salt into the fabric. Keep dabbing until you see that the wine stain disappears. 2. When you get the desired results and there are no visible wine stains on your precious suede shoes, our cleaning specialists advise to gently brush off the salt from the fabric. For the purpose, you can use a special, soft-bristled brush or a vacuum cleaner. Remember that this method is very effective for small wine spots, which are still fresh. 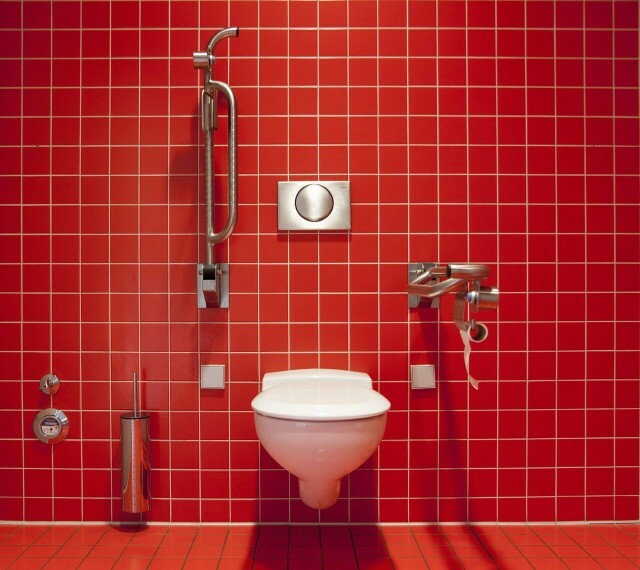 Many experts consider the toilet to be the cleanest place in one’s home. There is some logic to it, since you use very harsh detergents to clean it and if you are cleaning it often, it has no choice but to be clean. What is the dirtiest place in your home then? 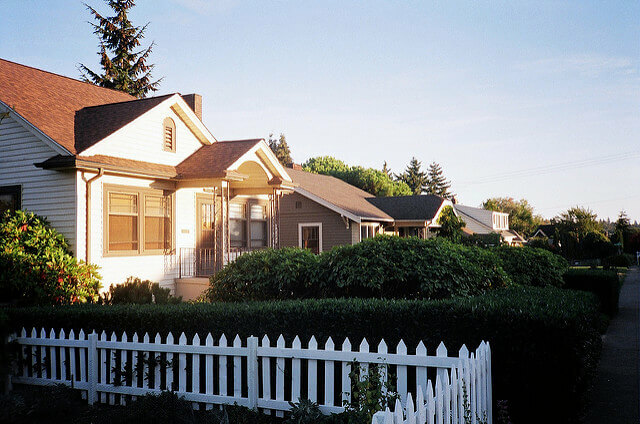 That much depends on the home type, where it is located, and to a big part – to the owner. Expert cleaners consider under-bed to be one of such places. It is only natural that we skip the regular vacuuming under the bed or not doing it as thoroughly as we should. Dust, food leftovers, some stashed items there like socks, that are missing a pair for a month – reminds you of something ? Mostly it is simply a mess, but if it stayed there for a while some bad things may happen. The nasty smell is the least of your problems, but vermin, and insects can become a real issue. Talking about monsters under your bed. Unfortunately there is no simplifying this process. If you are able to move your bed and do some cleaning – perfect. Otherwise, it is just you, vacuum cleaner and broom. It is annoying, because you have to work in a very tight space. Since you wont be doing this very often, do it the right way. Once per one or two weeks should be satisfactory. Now, ensure you do this properly. Pay attention to the corners and the far away spots. Also clean the underbelly of your bed – check for dust and spider webs. You may lay on your back, to see what the “ceiling” of your bed looks like and remove anything that does not belong there. If you are searching for some natural way how to maintain your tiles clean and shiny, then here you may find it. Cleaning tiles is definitely not something hard to achieve, but still you should know some things such as what is the type of your tiles and which are the best cleaners that you can use for their regular maintenance. 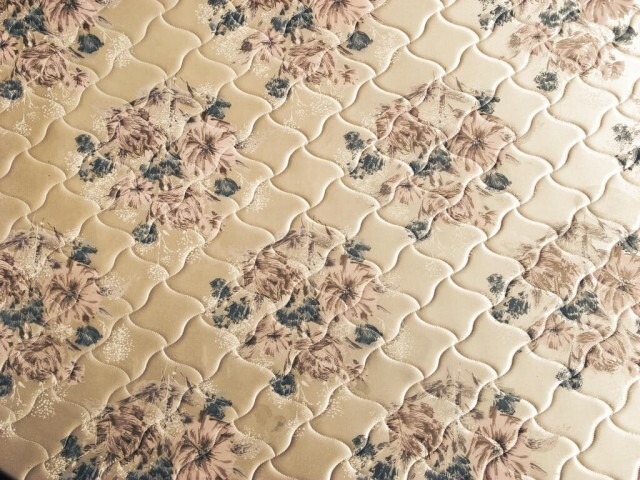 According to cleaning experts there are homemade tile cleaners that you can prepare by yourself and use to keep your tiles clean, no matter the material they were made of. So, in the next lines we will give you one such recipe to make your own homemade tile cleaner. 1. The ingredients needed for the cleaning are: ammonia, baking soda, white wine vinegar, clean empty spray bottles, warm water, a bucket, sponge and wash cloth. 2. Begin by mixing 1 cup of ammonia, ¾ cup of white wine vinegar, 2-3 litres of warm water and 1 cup of baking soda in a clean bucket. Then mix the ingredients well and pour the solution into a few clean empty spray bottles. 3. Now, when you have your homemade tile cleaner, spray the mixture over the dirtiest parts of your tile floors and let it sit for a few minutes. 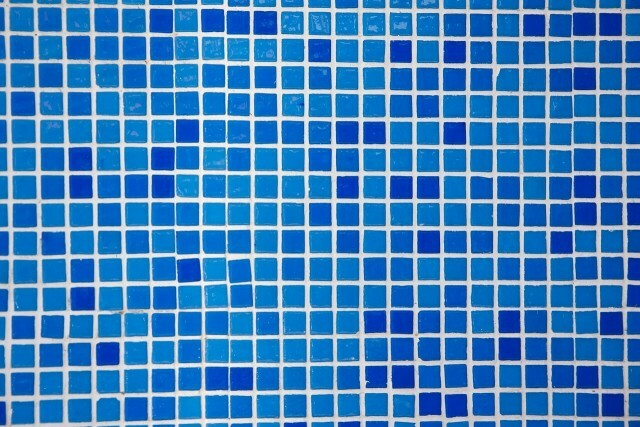 When the time is up, use a wash cloth or a sponge to wipe your tiles clean. According to professional cleaners this simple homemade tile cleaner is as effective as the most expensive commercial detergents in the store. So, enjoy this recipe by saving money and making your tiles shiny again at the same time.